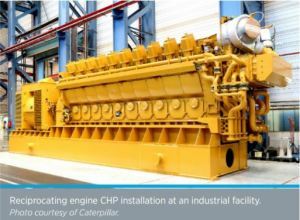 Experts say reciprocating gas engines can respond faster to load changes than any other prime mover, can compete with small gas turbine systems and also help fill in an efficient way the gap left by the lack of energy storage in most grid systems, as Power Engineering reports. In southern Minnesota, where wind turbines and ethanol plants are commonplace, two communities have turned to reciprocating engine technology to meet their future power generation needs. The Fairmont Energy Station, a 25-MW project completed in 2014, and the Owatonna Energy Station, a 38-MW project now under construction, feature highly flexible, quick-starting, low-maintenance reciprocating engines suited for today’s market, which places a premium on rapid-cycling capabilities.